Prestige Yachts will launch three new models this year with the 590 Flybridge, 520S, and the 460S Coupe. It was 1989 when the esteemed Jeanneau shipyard launched its first luxury yacht - the Prestige 41. The brand's reputation and popularity grew over the next three decades which allowed expansion of its model range from 36 feet all the way up to 75 feet in length. Prestige Yachts has solidified itself as a top builder of express yachts and flybridge motor yachts in this range, particularly in the U.S. market where a strong economy has boomed boat sales in recent years. The concept of a "home on the water", that has the flexibility of long-distance trip for several days as well as just going out for a short cruise to dinner, is what the market has asked for and subsequently has changed the way builders design models in this class. Owners want a yacht that is easy to use without a captain, but still has the space and storage to not feel cramped on board. Prestige Yachts targets these buyers in the 45 to 60 foot range with three new express yacht and flybridge models, two of which will debut at the upcoming Fort Lauderdale Boat Show - the Prestige 590 Flybridge and 520S Coupe. The new 460S Coupe' made its debut at the previous boat show. While these new models won't be there, if you're interested in buying a Prestige Yacht there is a Sea Trial Event at the Ocean Reef Club this December. 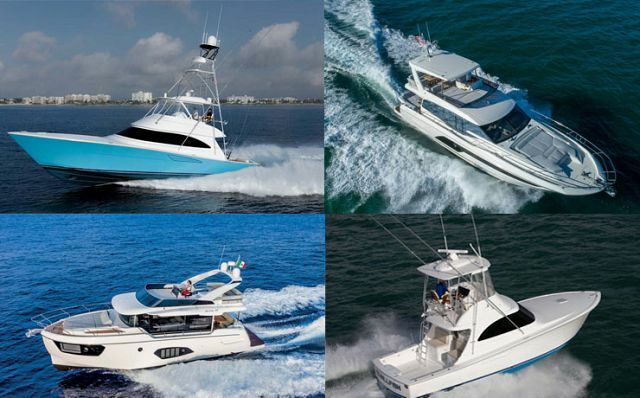 The Sun & Shore Event is an exclusive, invitation-only sea trial opportunity for new and potential owners to meet with factory representatives and tour several models. Unfortunately, everyone will have to wait until the Fort Lauderdale Show to see the new Prestige Yachts 590 Flybridge. Fortunately, that's not that far away. At first glance, the 590 Fly looks traditionally Prestige with fluid, ergonomic lines and the signature windows that seem to run the span of their entire boat. "What Prestige did with the 590 Flybridge was create an extremely fun, but functional yacht," said Jay Hendrix, VP of SI Yachts. "Every area on board is about fun whether you're driving up top or relaxing with a drink on the bow lounge. It's the perfect boat for our market as it has the capability of cruising south for the Winter." Starting at the rear of the 590, the teak hydraulic swim platform is wide enough for a small tender, but is also a wonderful place to sit right at the water's edge and catch some sun. Side teak steps bring you the aft cockpit area which features a L-shaped lounge and teak table for outside dining. Cleverly, the lounge reclines back to create a perfectly sized sunpad complete with cup holders. The side of the lounge has a hatch that when opened reveals the entrance to a crew quarter if needed or an additional cabin for guests. While the flybridge overhang does provide some shade here, true sun seekers will move to the bow lounge to get to their tanning fix. Oversized sun pads can easily fit two people if not more and handily comes with rails for holding on while underway, as well as additional drink holders. Moving up the aft teak steps, you immediately notice the abundance of space on board the flybridge to sit and relax. U-shaped seating with a pedastal table provides a wonderful place to enjoy dinner under the stars. The upper helm has seating for two with a large sunpad adjacent to the helm. 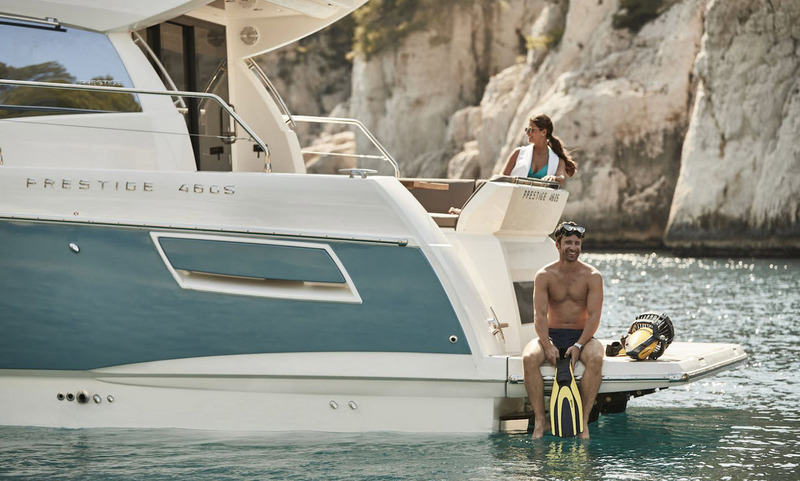 You can read more in our other article about how to have fun on the new Prestige 590 Flybridge. Stepping inside the salon of the Prestige 590 Flybridge is inviting and refreshing. After a long day in the sun, the interior of your yacht should be an oasis for you to rejuvenate yourself in comfort and serenity. Prestige's superior construction techniques have allowed for the use of extra-large windows that provide amazing views and lots of light inside the salon. Whether it's the shape and positioning of the couches, the flow of the main deck from the aft cockpit all the way through to the helm, or the access from the cockpit to the galley through an electrically-operated window, Prestige has done an exceptional job creating a living space which encourages socializing. If nothing else, the Prestige is about comfort and FUN! Below deck, the Prestige 590 offers three beautifully appointed cabins, including a full-beam master stateroom with en suite head. The VIP cabin is placed forward in the bow and shares a bathroom with the third guest stateroom (side-by-side bunks). This layout is extremely popular with owners that want their space and privacy, but also want the option of bringing on family and groups of friends. Each room has ample storage space for longer cruises. The standard engine package on the Prestige 590 includes twin Cummins 8.3 600hp Diesels with a 581 US gallon fuel capacity. There is an on board command and control technology provided by Ship Control. This puts all functions and systems monitoring easily at your disposal that gives owners peace of mind. For more information about the 590 Flybridge before it launches at FLIBS, contact your SI Yachts Sales Professional today. While Prestige's reputation is largely built on the popular flybridge series, the express yachts are not to be overlooked. 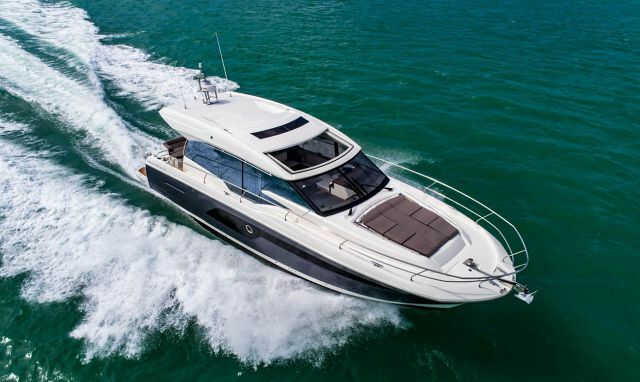 The new Prestige 520S will also make its debut at the upcoming boat show and it looks absolutely spectacular. The new Prestige 520 was recently nominated for the title of "Best of Boats" in the "Best For Travel" category. Whether or not it wins will be decided at the Berlin Boat Show in November, 2018, but even to be nominated for the award shows that the 520S is already beginning to turn heads in the industry. According to Erik Stromgberg, Prestige Yacht's Design and Development Manager, there are many unique aspects of the 520S but one sticks out to him. The hydraulic swim platform electrically descends into the water making room for the tender garage which opens up with the push of a button. "This is a very unique feature on the boat because the 520S - like the 520 Fly - can be configured with 3 different aft sections," Erik says. 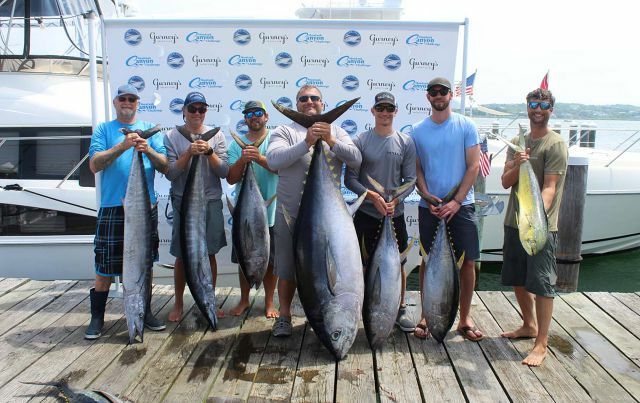 "We can have, as standard, a giant storage area back there, we can have a fully equipped skipper cabin with head and shower, or we can have the garage. We are the only boat in this class that offers a choice of rear ends for the boat, depending on your program and what you want to take with you." The bow of the boat is just as well-planned as the aft cockpit and garage. Sun lounges contort to your body as you relax in the sun's warmth. While bow lounges aren't new to express yachts, the canopy that folds up over the lounges providing shade comes in handy. Continuing with the traditional Prestige style, each space on the 520S is functional and designed specifically for the comfort of its owner and their guests. Just like her larger sibling that will debut at the same time, the 590 Fly, the 520S interior is lined with large wrap-around windows for maximum light entry and great views. At 52 feet and a beam of just under 15', the 520S feels much larger than it is. The accommodations below deck are the same popular layout as the larger yachts with a full-beam master amidships that has an en suite head and the VIP stateroom placed forward. The third guest stateroom has side-by-side bunks and shares a head with the VIP cabin. "The master stateroom on this boat is incredibly spacious," says Erik. "All of the materials are very high-end coming from our larger yacht range. There are the Corian countertops and sinks, the big showers, as well as having a very large berth with plenty of storage. It's really a great space to live on board." For more information on the new Prestige 520S, contact your SI Yachts sales professional today. If you're in the market for a sub-50 foot boat, but want the high-end performance and accommodations of a larger yacht look no further than the Prestige 460S. Debuting at last year's Fort Lauderdale Boat Show, the smaller sister to the new 520S can hold her own against any other boat in its class. The Prestige 460S just looks like it's fun to drive. Sporty, athletic, but with that unmistakable touch of luxury that makes Prestige so remarkable. Owners have their choice of power from twin Volvo D6 IPS 500's or 600's which both have a general cruising speed of about 25 knots. Enjoy the large opening sunroof and massive glass sliding aft door that bring in so much air and light. When opened, the transition from the aft cockpit dining table into the salon and galley is seamless. Boats.com editor Zuzana Prochazka was at the premier of the Prestige 460S last November and put together an excellent in-depth review of the boat. With new technology, fresh ideas to enhance the owner experience, and a strong dealer and service network, the future looks bright for Prestige Yachts. Buying a Prestige through SI Yachts ensures that your experience will be our first priority. Staten Island Marina is a full-service facility that can do everything from bottom paint to teak decks to new engines. This ensures that you stay boating all season long and are always taken care of. Need to trade-in your current boat? No problem. 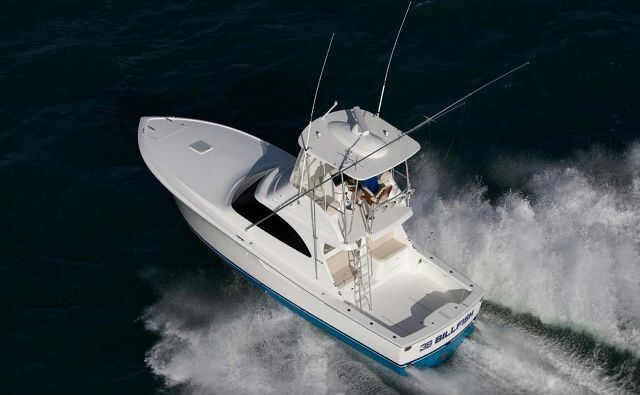 SI Yachts can take your trade-in or help you sell it through our Diamond Listing program. Contact us today for more information about all of the newest Prestige Yachts available or coming to the next boat show!